Many of you know George as Emeritus Professor of Law at Hastings Law. 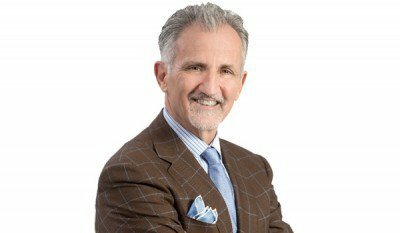 You may have taken his courses on Criminal Procedure, Islamic Law, Law and Social Anthropology, Criminal Practice Clinic, and Law in Middle East Societies. Today, we would like to introduce an entirely different facet of George: blues musician. I hope you are all well! I wanted to bring you up to date with some music news. First, my CD Chromaticism, released last September, has received considerable air time, critical acclaim, and several award nominations. Thanks to all of you who purchased a copy! Chromaticism was nominated for Best New Artist CD by the Blues Foundation. I attended the award ceremony in Memphis in May and had a great time; the winner in my category was the very deserving Selwyn Birchwood. Blues Blast makes it easy for you by providing a link to a page with sample tunes from each nominee. Should you be inclined to vote for Chromaticism, after listening to the other nominees in my category, I would be honored. If you listen to all the other nominees in other categories, by the way, it’s like a guided tour of contemporary blues – a really nice way to learn about what’s going on in the genre today. The Blues Blast award ceremony is in Champaign IL on September 25 – I will attend and perform a couple of songs. Any suggestions? I have my own thoughts but would welcome your input! Third and finally, I have kicked off the process of recording my next CD. I plan to be in studio with many of the same musicians in February 2016, and expect to release the CD in late spring/early summer. Stylistically it will be consistent with Chromaticism, while breaking some new ground. I have been busy composing, and already have enough material for a CD of all originals. Whether I go that route or mix in some covers (of which I have a number in mind) is something I’ll be pondering over the coming months – again, any views on that you care to share? Thanks, as always, for your interest and support. Even seemingly trivial things – as in liking my BHG Facebook page – helps, as talent scouts look at social media to gauge interest. What you do to support me and other independent musicians is greatly appreciated. See George’s secrets to Keeping His Day Job here. See Bman’s Blues Report review here. 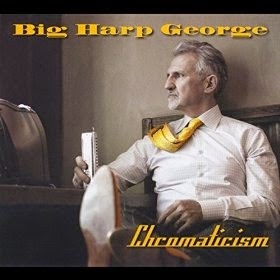 Buy Big Harp George Chromaticism here.